Klipsch, they’re a company we sometimes forget about, mainly because it seems as though everyone is getting into the business of making audio accessories – including some smartphone makers, like Samsung. No doubt, the space is increasingly getting crowded, but purists know that Klipsch has the experience and notoriety needed to succeed. In continuing to get there, they recently announced the Klipsch R6m In-Ear Headphones, which serves as the company’s universal pair of headphones meant to work perfectly on devices ranging from smartphone to gaming consoles. Let’s cut to the chase folks! Quite frankly, seeing that in-ear headphones are so tiny in size, it’s rather tough for companies to sprinkle a significant amount of originality with their designs. 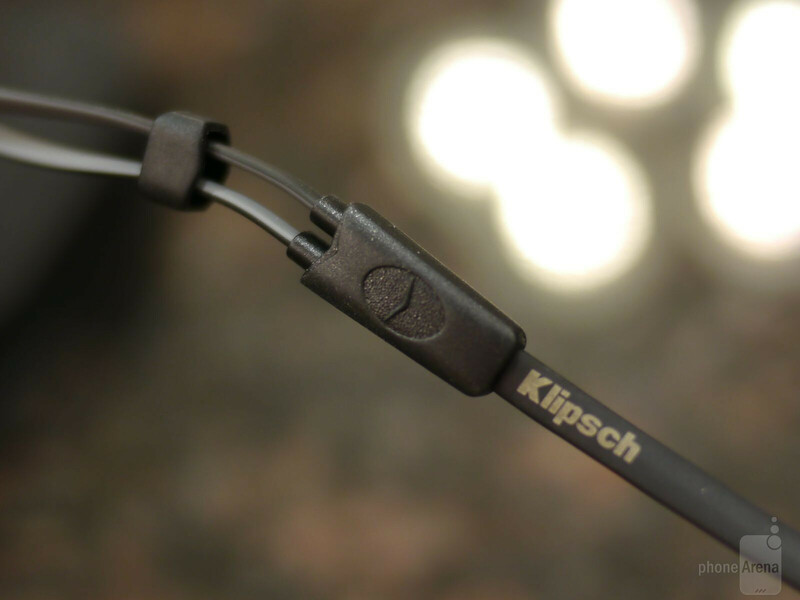 Looking at the Klipsch R6m, they appear a bit conventional to our liking, which is evident by its black colored tangle-free cable. The majority of the ear buds are comprised out of this rubbery elastomer material, which gives it a clean finish, but doesn’t do enough to give it a premium quality. Indeed, they’ve added a few aluminum accents around the housing of each ear bud, but again, it doesn’t radiate the higher quality feel and uniqueness of other headphones we’ve reviewed – like the Phiaton Moderna MS 200, House of Marley Zion, and OM Audio Inearpiece. 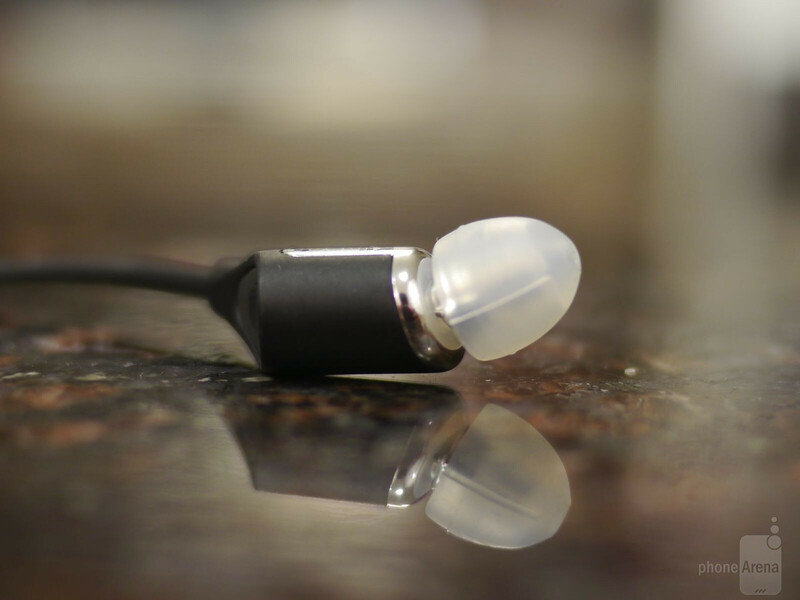 Despite that, the fit and comfort of the Klipsch R6m is pretty good, since the various sized oval silicon tips offer a fair amount of snugness while in our ear. Better yet, the tips of each ear buds are angled to allow them to properly contour the entrance of the ear canal – ensuring that they also stay firmly in position as they rest there. 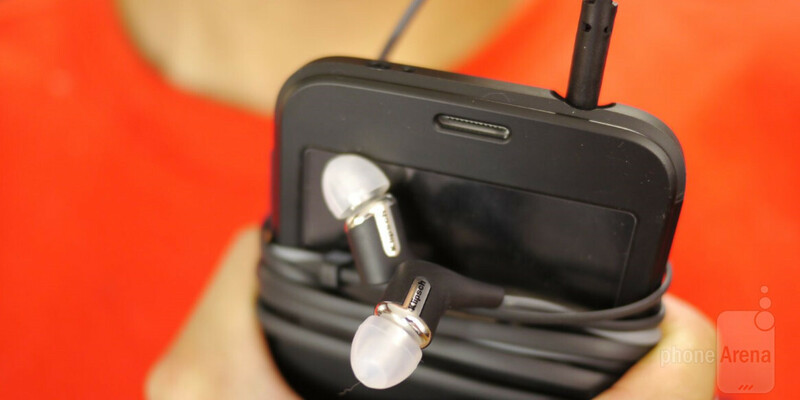 Along the tangle-free cable, there’s an adjustable plastic piece that enables us to tighten the headphones accordingly. Dangling along the left ear bud, there’s a single multi-function button that acts as pause/play feature with our HTC One M8. However, volume adjustment is done via the smartphone’s volume controls. Wearing the Klipsch R6m, it delivers a decent amount of noise isolation, so that background noise is quelled a little bit – placing the focus and attention to the music. Considering that Klipsch has been in the audio business for 60+ years, it goes to show that they really know what it takes to produce stunning audio quality. At first, we were a bit skeptical about the R6m’s audio quality, but that feeling quickly subsided. In fact, the Klipsch R6m produces robust audio that manages to deliver equal emphasis to all audio ranges. With bass heavy tracks, there’s no shortage of that – even at the loudest volume quality! Unlike other headphones, which sometimes compromise on other audio ranges, the R6m doesn’t falter with its quality, as it places a tangible amount of emphasis on the mids and highs too. 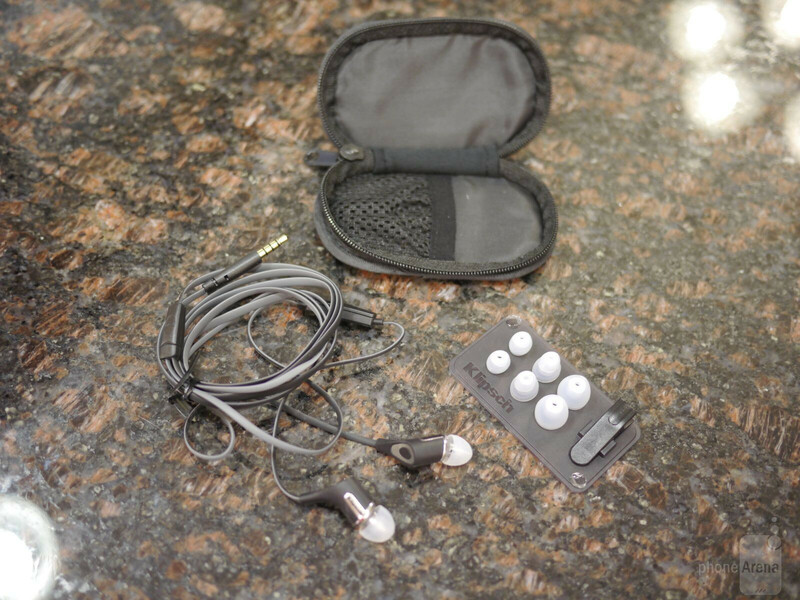 Most people wouldn’t be too inclined to pick up a pair of in-ear headphones for more than $30, so it wouldn’t shock us if they look away the instant they peek at the Klipsch R6m’s price of $100. Yes, you heard that right folks! Picking up this in-ear pair of headphones will require you to fork over $100, which not surprisingly, puts it in the same class as the aforementioned headphones we mentioned earlier. Certainly, its design is a bit underwhelming for something that’s so expensive, but it undeniably makes it up in the audio quality department. I am also interested in them.. Seem like a good ear buds. 7.5 how much is awarded for good sound, how much is awarded for comfort. Please hire an editor. The writer of this article consistently demonstrates a piss poor grasp of the English language. Bose inear headphone all the way.